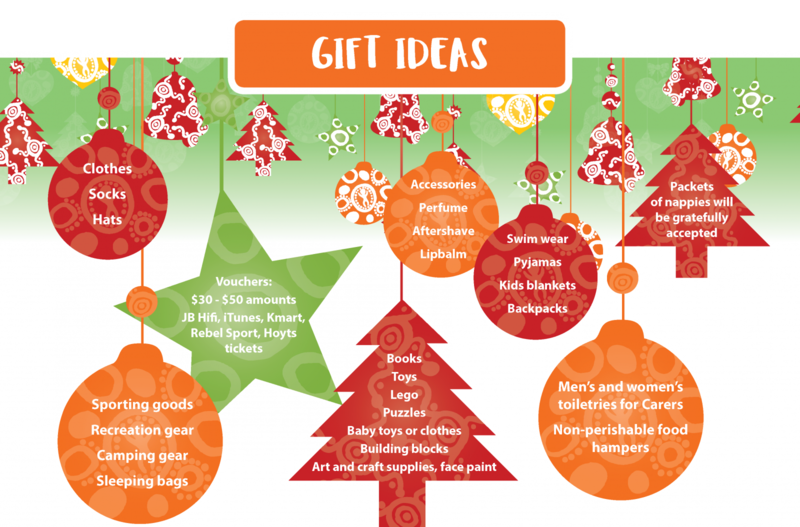 Help provide a great Christmas for Aboriginal children in care and children in our programs. Option 1: Every dollar counts, $30 can provide a gift to a child. You can fundraise by contacting supportus@vacca.org – get your friends, family or workplace involved. Option 2: Donate a Christmas present for a child. You can also buy a gift and drop it at your local VACCA office or to Triple R Broadcasters – 3RRR. Your workplace, school or church can also get involved. We need most gifts to be delivered early in December as possible, but we do provide gifts right up until Christmas. Donations of non-perishable food, nappies or gifts for our Carers are also needed. All gifts are to be delivered unwrapped and in original condition. Please note we cannot accept toy guns, razors or electrical goods.